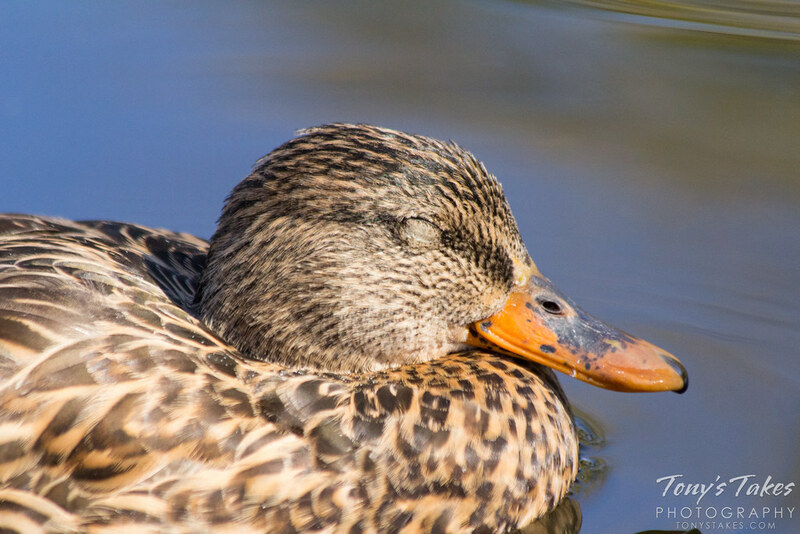 I don’t normally train my camera on these common ducks but yesterday I couldn’t resist. The male mallard’s brilliant coloring coupled with the reflections of sky and clouds on a pond looked pretty neat. I am still amazed at how absolutely beautiful these ducks are. 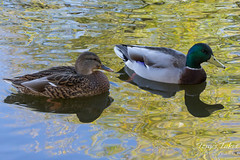 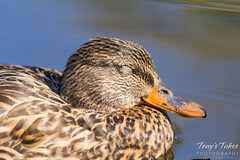 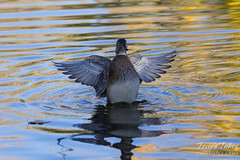 This is another shot from my time at a pond that these ducks frequent in the fall. The reflection of the yellow leaves and the duck itself make for a pleasant image. 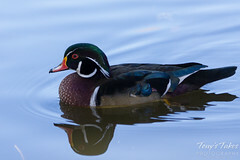 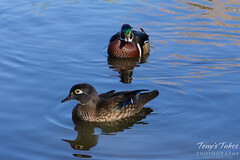 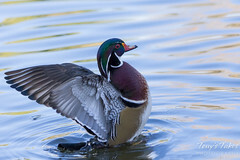 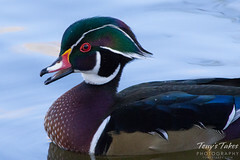 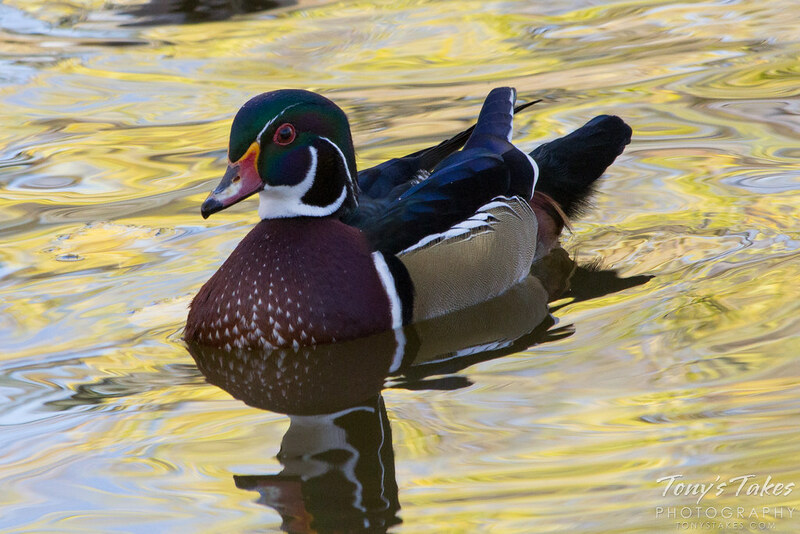 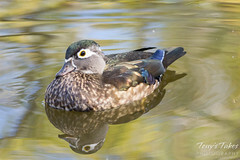 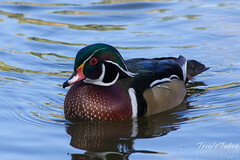 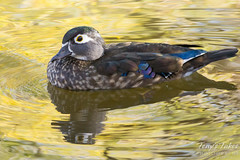 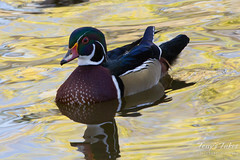 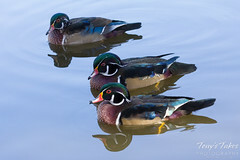 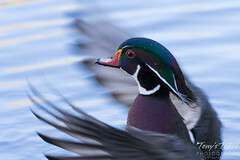 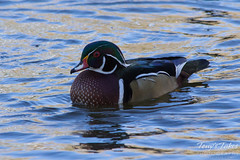 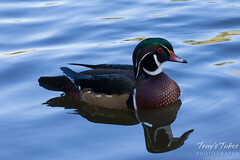 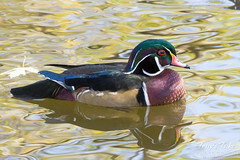 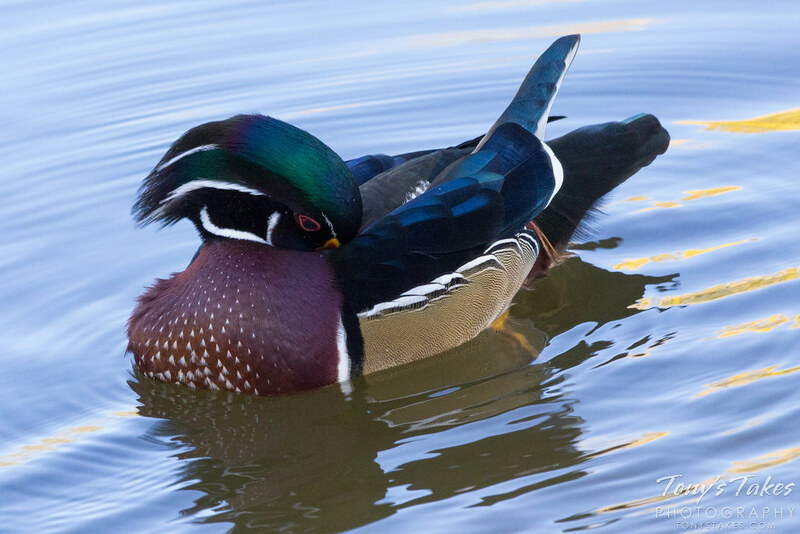 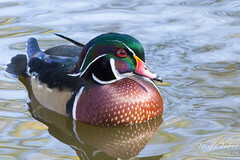 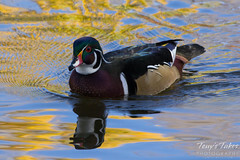 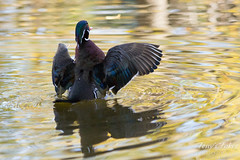 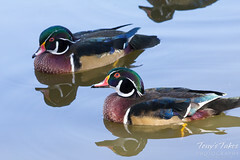 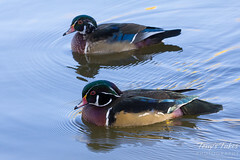 Lately I have posted a few pictures of male wood ducks which are amazingly colorful. 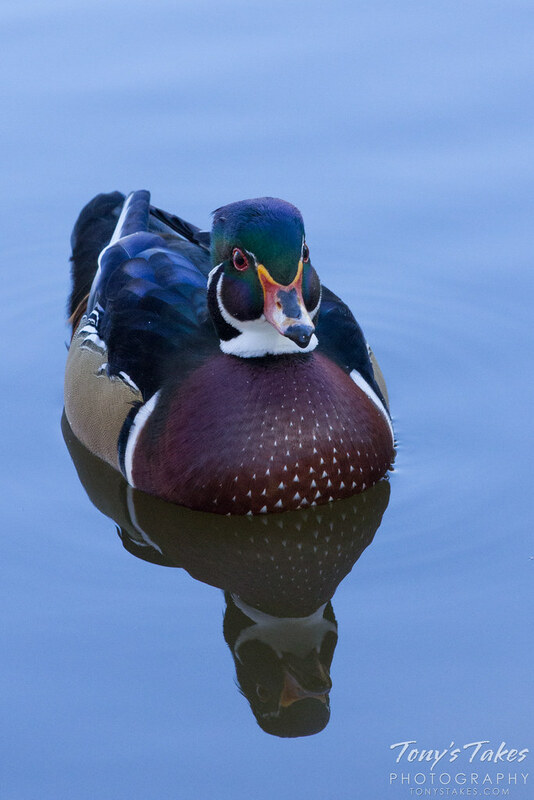 The female of the species though is beautiful in their own right. Their iridescent coloring and the yellow ring around their eyes really make them stand out. 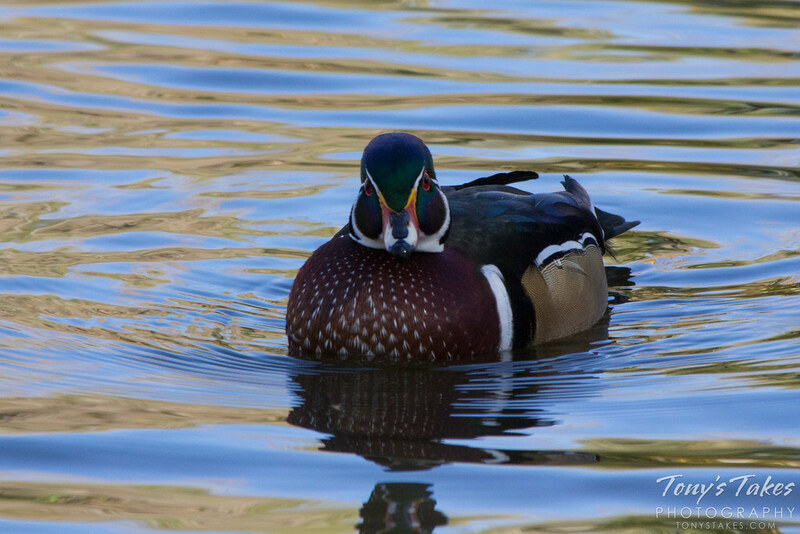 This handsome looking wood duck drake seemed to be quite proud of himself this past Saturday. I had never seen these birds in person but was intrigued enough by the opportunity to drive quite a good ways to go to a spot where they frequent. 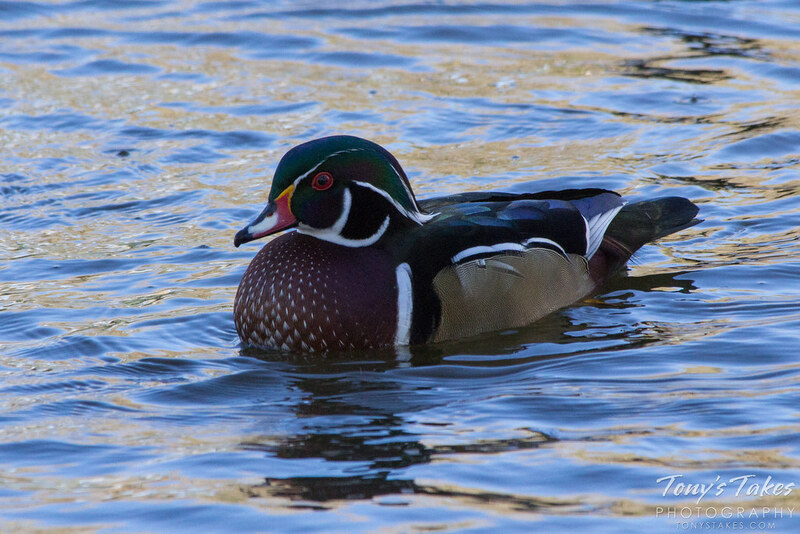 They definitely did not disappoint as they are arguably one of the prettiest water fowl you could imagine. 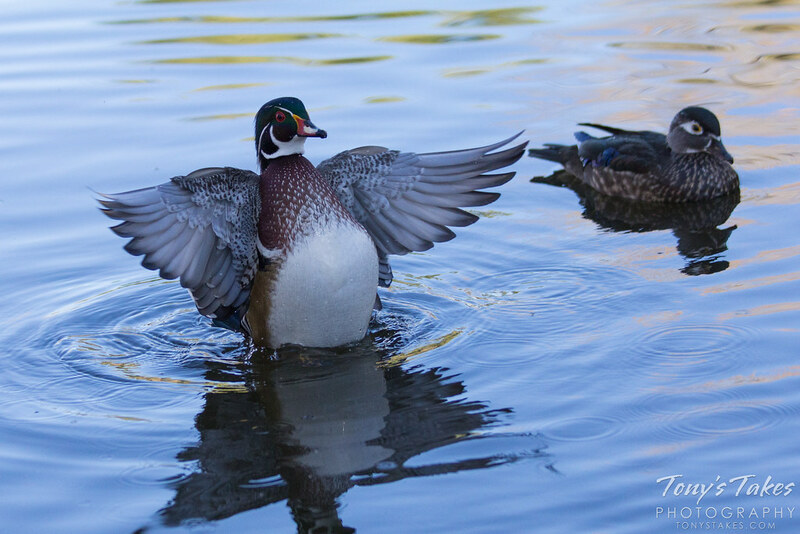 Check out the complete gallery from my time with them here. 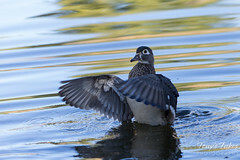 A wood duck flaps its wings to dry off following a quick dive it took chasing a meal. 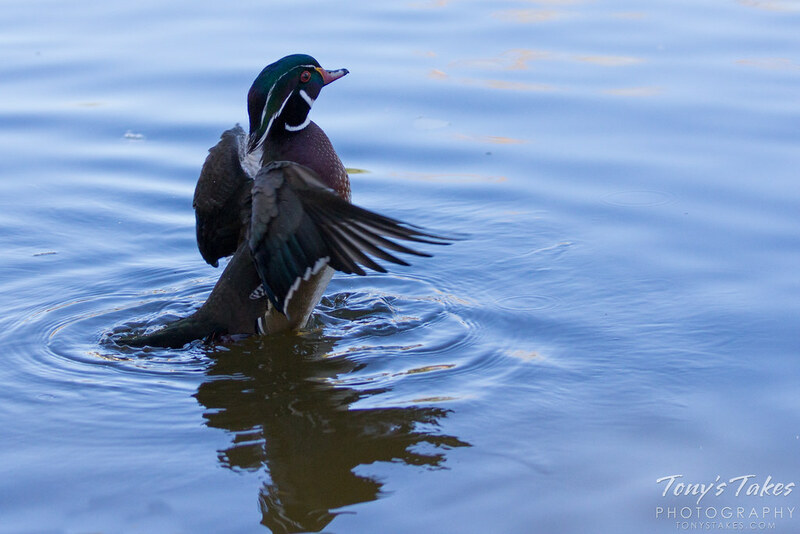 I’m not normally too much into taking pictures of water fowl but these guys are the coolest. Their colors are just brilliant and they are very entertaining to watch. 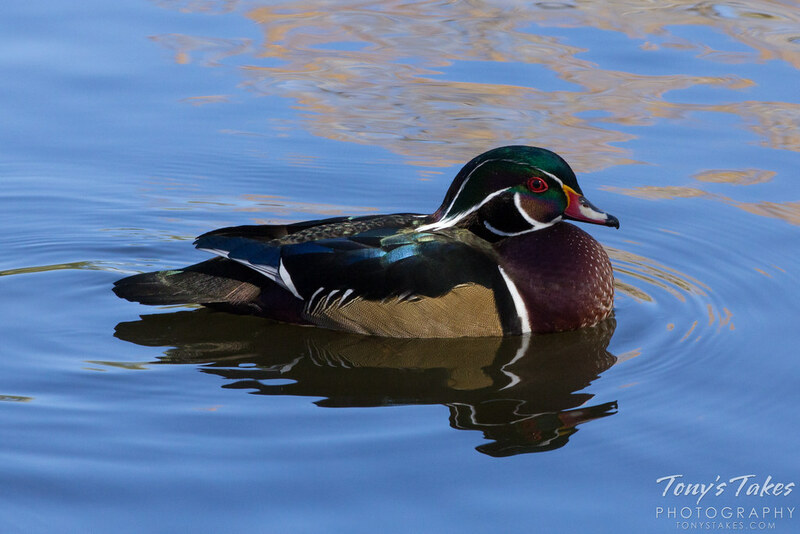 They aren’t particularly common in the area I live but there is a little hotspot not far away at Sterne Park, Littleton, Colorado where they are known to hang out. 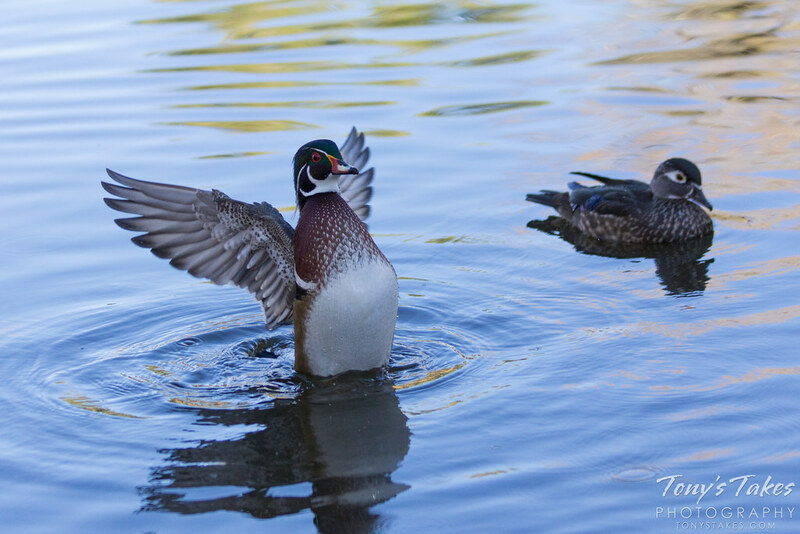 View the complete gallery of images from my photo shoot with the wood ducks below. 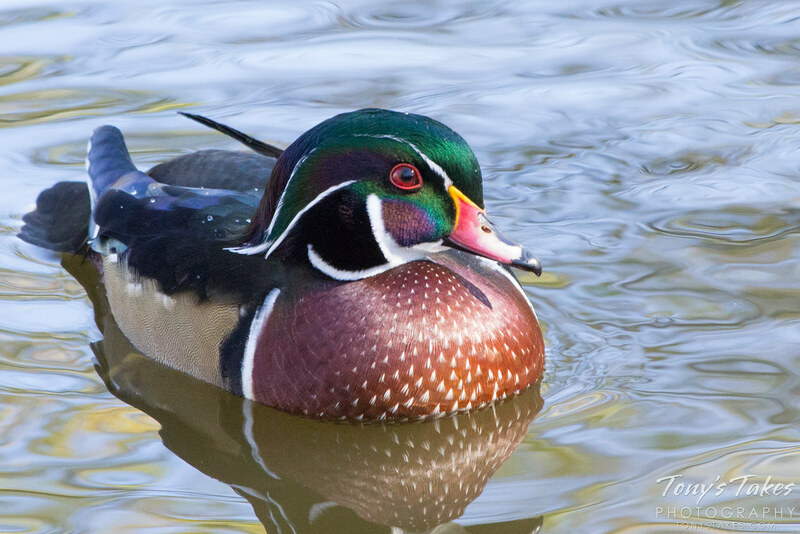 You can learn more about this colorful duck here. 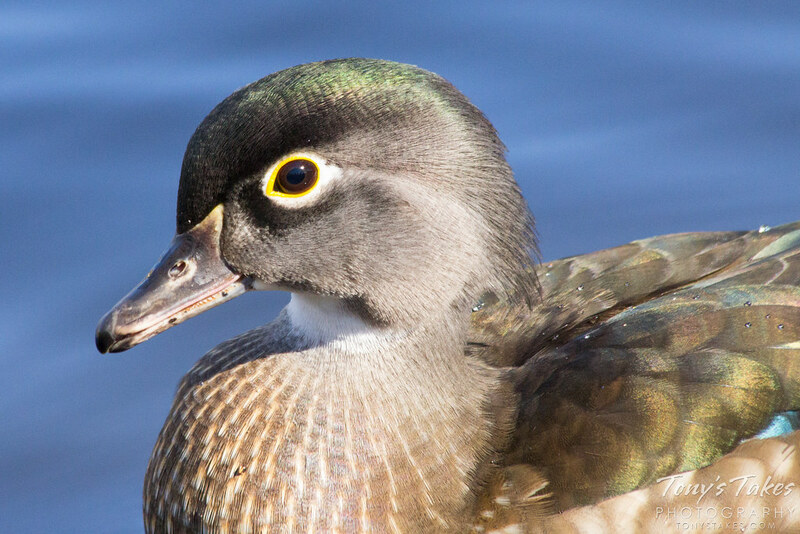 The female wood ducks are pretty in their own right. 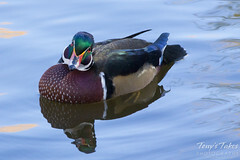 No I will not clean the nest! The golden leaves reflected in the water add even more color. 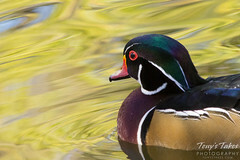 A wood duck drake swims in the quiet waters. 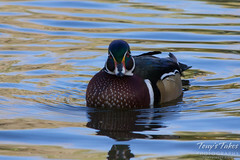 A wood duck gives me the evil eye. 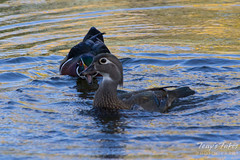 Wood duck drake and hen. 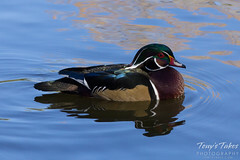 Wood duck on golden water. 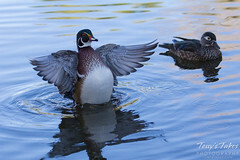 A wood duck drake poses for the camera. A young female wood duck. 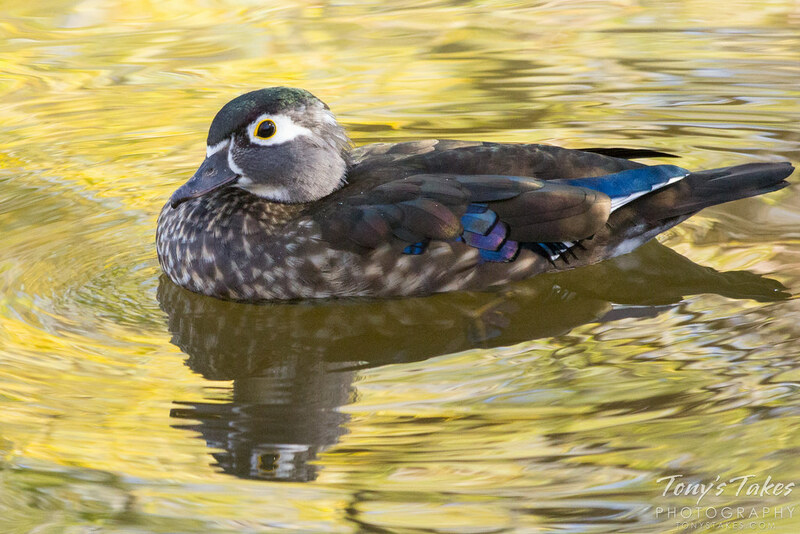 A wood duck in calm water. Colorful close up of a wood duck drake. 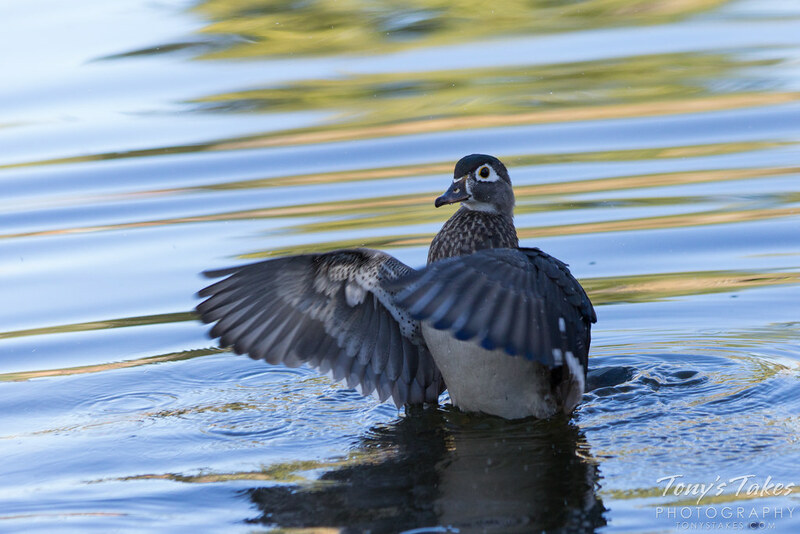 A female wood duck dries itself. 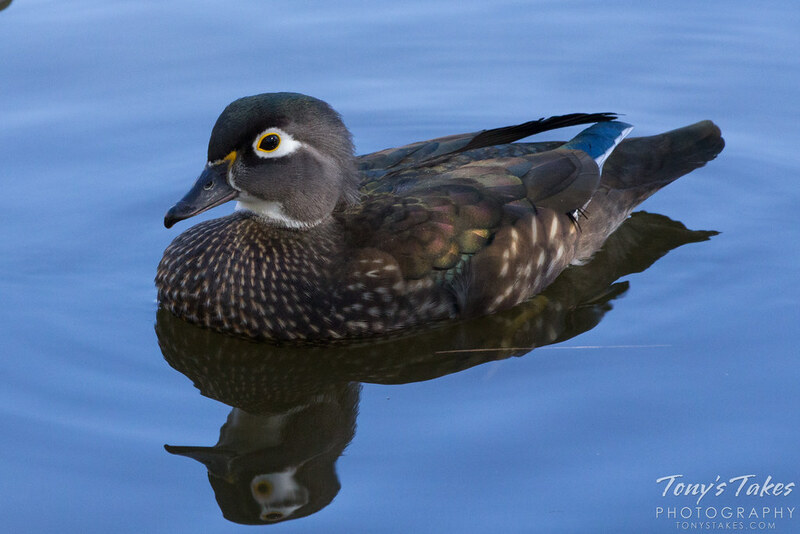 Very pretty wood duck hen. Normally I prefer to take pictures of birds that I find more interesting like raptors. 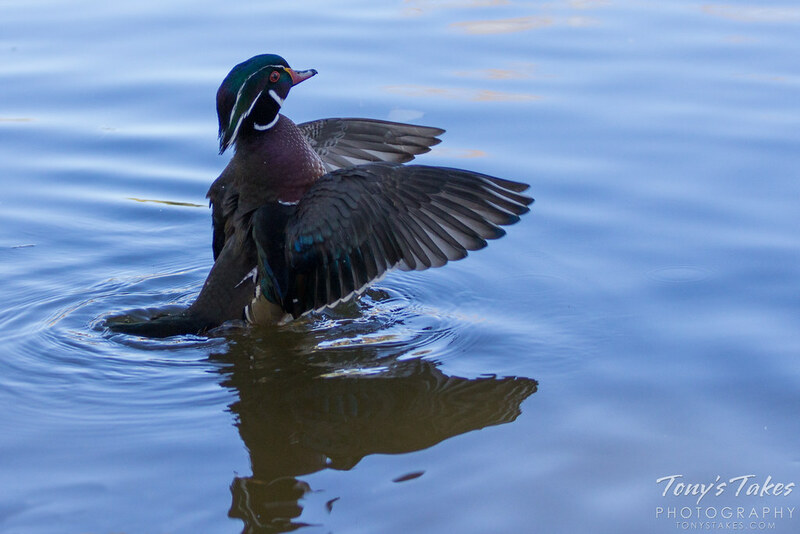 However on the day this image was taken the action was pretty slow and this photogenic little guy really wanted his picture taken. 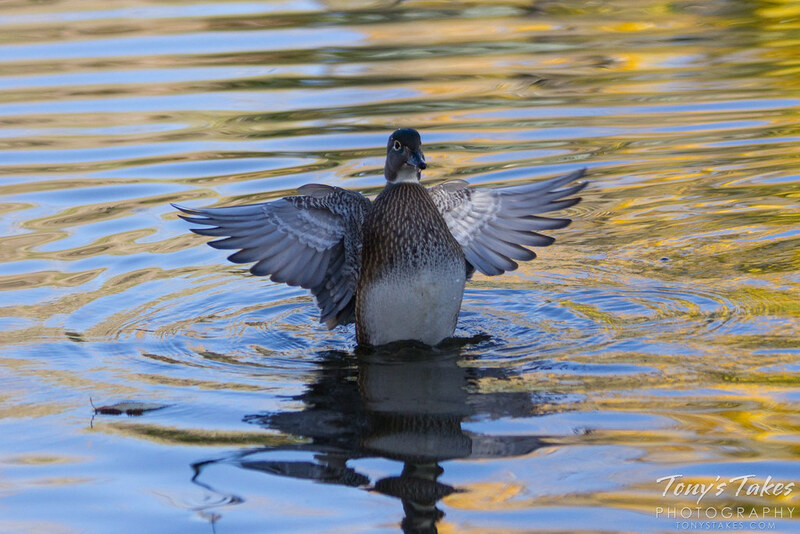 This mallard swam by a couple of times and even came ashore to retrieve a snack dropped by a fellow photographer nearby. 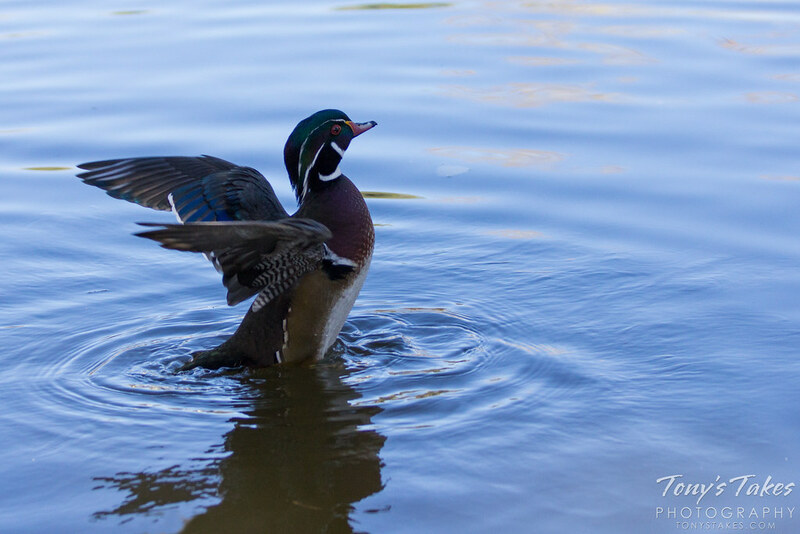 I snapped this picture as he swam off and really like the image. The water beading on the duck ‘s head, the detail of its fine feathers clearly showing and the glass-like water with the duck’s reflection turned out quite nice. 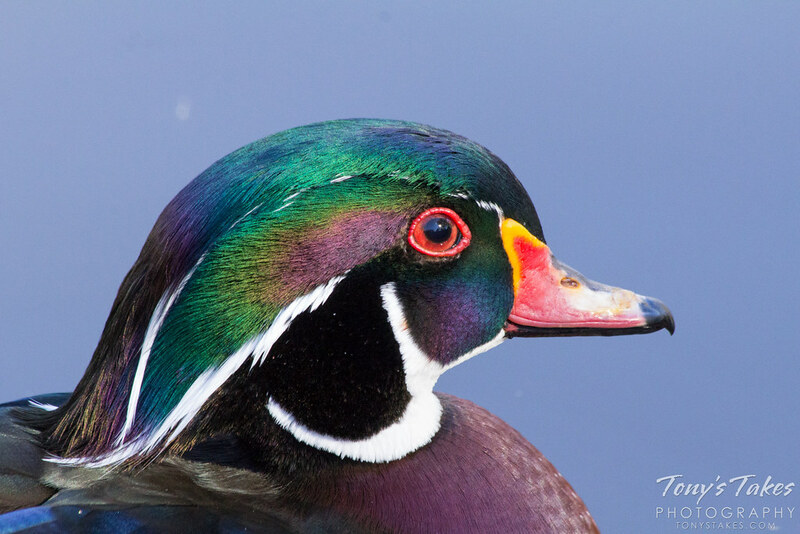 As a bonus, the green head fits in well for St. Patrick’s Day. 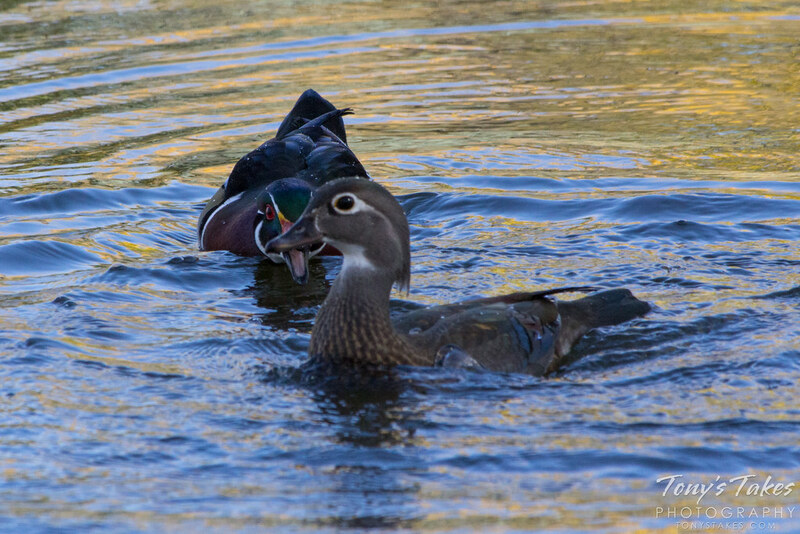 😉 Taken at Golden Ponds in Longmont. I stopped by the bike path along the South Platte River in Thornton on the way home yesterday. Lots of interesting ducks out there (which I know nothing about). Caught this pair as they took off down the river. I believe these are Northern Pintails.